Frances was the first wife of the Rev. Nathaniel Hawkins, a son of Nathaniel Hawkins and Dinah Longbotham. Ralph Clymer Hawkins in A Hawkins Genealogy (1939) recorded that she was buried "in the cemetery at Fireplace," meaning the Nathaniel Hawkins Cemetery (#B039). A gravestone for her has not been found at the Nathaniel Hawkins Cemetery. Her gravestone was not recorded in the Town of Brookhaven Historian's cemetery inventory (c. 1939) as being in the Nathaniel Hawkins Cemetery. A memorial to her can be found on a monument at the Yaphank Village Cemetery, Yaphank, NY (#B022). 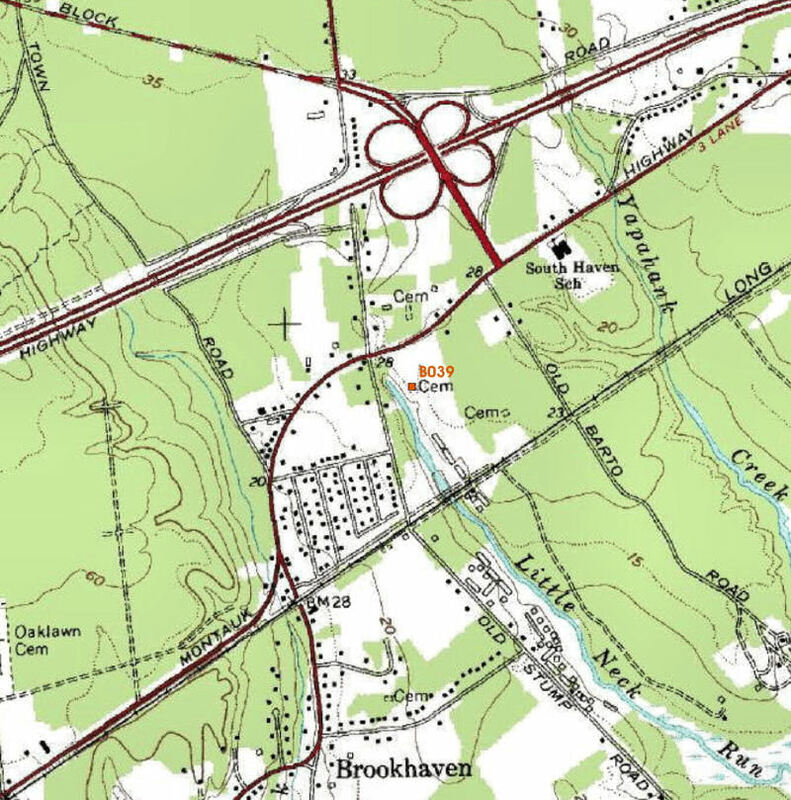 Yaphank is the hamlet immediately north of the Brookhaven/South Haven Hamlets.